Please take our recommendation to have your teeth cleaned by our hygienist on a regular basis. Having any build-up of plaque and tartar removed will not only give you fresh breath and a clean and pleasing smile, it will help you to keep your natural teeth and lessen the chances of serious health conditions developing. Even if you are meticulous about cleaning your teeth every day, there are areas that are often missed or hard to reach that allow plaque and bacteria to form. Our hygienist will carefully inspect your teeth to ensure all areas of your teeth are once again very clean. Extracting a tooth should be prevented, if at all possible. Root canal therapy can save a tooth and keep it fully functioning. In the past, patients have dreaded this treatment. But with today's advancements in treatment and the latest anesthetics, it is now much easier for a patient. Our doctors are very experienced in this procedure of removing the interior pulp of the tooth and replacing it with a special material to secure the tooth in place. It is different from filling material for a cavity and will return the tooth to full chewing capabilities. Having your natural tooth left in your dental arch will give you a complete smile and prevent other dental problems from occurring. Oral cancer is a serious affliction that takes the life of one American every hour. This statistic has remained consistent for 40 years. But with early identification of unusual tissue within the mouth, statistics have also shown there is a 90% cure rate for this cancer. We provide this easy and quick screening at every check-up. If we see any areas of concern, you will be referred to an oral surgeon for additional examination. We offer two types of filling materials for restorations from cavities. 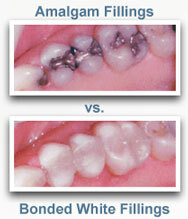 The amalgam metal filling has been the standard used by dentists for a number of years. They provide an effective and affordable restoration that is covered under most insurance plans. We also provide nonmetallic fillings that are made to match the shade of your tooth. They are nearly invisible and add to the attractiveness of your smile. They bond well to the natural tooth structure, which gives it additional strength and reduces the chance of decay setting in. 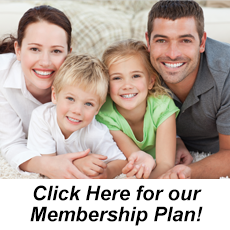 We are pleased to offer both types of fillings and will discuss which option is best for you. You may know of nitrous oxide sedation by its common name, "laughing gas." Many patients choose this option for more comfortable treatment. You inhale the gas through a mask that gently induces a relaxed state. To eliminate discomfort in most cases, local anesthetic can also be administered along with the nitrous oxide. When your treatment is complete, you'll be alert and ready to drive yourself home! Don't become a tooth loss statistic from sports involvement. 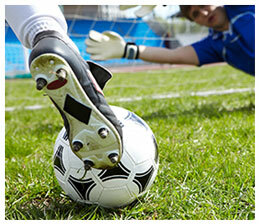 Every year approximately 5 million teeth are lost due to trauma and injury to the mouth while playing sports. These traumatic injuries can be prevented by wearing a custom-made mouthguard. We fit patients for upper and lower mouthguards to provide maximum protection against tooth loss. The mouthguards sold in stores neither fit as they should nor effectively protect your teeth. The American Dental Association recommends wearing custom mouthguards for the following sports: acrobatics, basketball, boxing, field hockey, football, gymnastics, handball, ice hockey, lacrosse, martial arts, racquetball, roller hockey, rugby, shotputting, skateboarding, skiing, skydiving, soccer, squash, surfing, volleyball, water polo, weight lifting, and wrestling. If it's time for your next cleaning, or if you're ready to schedule a no-cost/no-obligation consultation, call us now at (601) 924-1555.